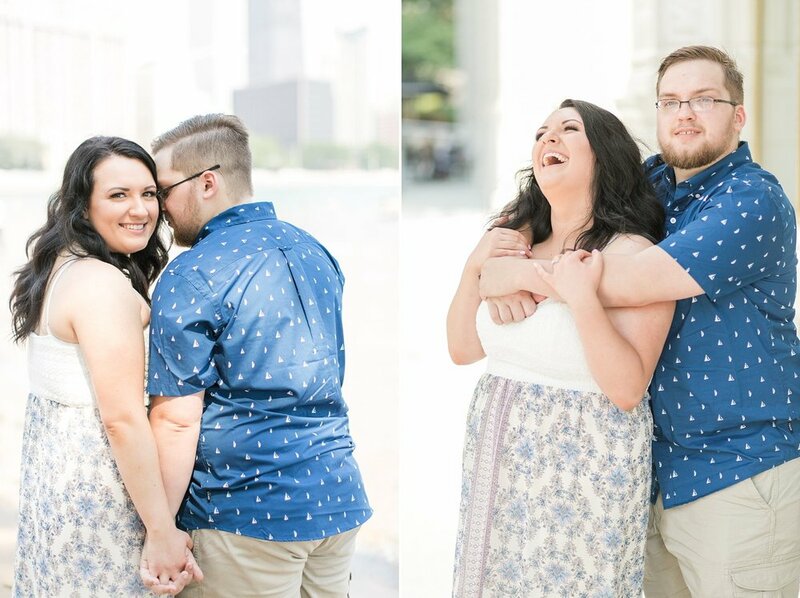 It was a HOT day here in Chicago when we scheduled Kayla and Brandon's engagement session! The heat index was saying it was going to feel close to 100 outside!! (yikes!!) If you have ever visited Chicago in the summer time before, you would know that every beach is usually JAM packed, and when they were calling for 100 degree weather, I wasn't doubting that we were going to have some competition at our first location! This was our plan for the day -- start out at Ohio Street Beach, work our way over to The Wrigley Building and then finish the session on the Riverwalk! We're hitting some pretty good spots in the city if you ask me, but... we had to be smart! 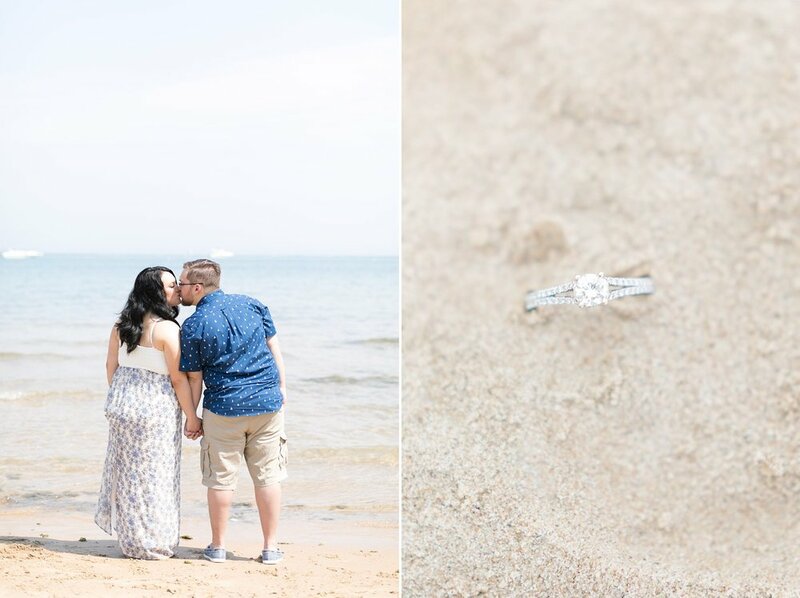 We met at the beach pretty early so we could A. beat the heat! and B. beat the CROWDS! We arrived and I was pretty surprised (I really shouldn't of been haha!) that there was a good amount of people already soaking up the sunny rays so we took over a small corner of the beach to have to ourselves! It worked out great and that view we had was gorgeous! Kayla you are stunning! <3 And Brandon's shirt was perfect for this location! I loved it!! It was time for our next location which was The Wrigley Building! Trying to be as smart as possible, instead of taking a 20 minute walk during this humid and crazy heat, Uber came to the rescue! Haha! I always LOVE shooting at this location because no matter what the lighting condition was outside, whether it was extremely sunny with no cloud coverage (which was this day!! ), super overcast, or anything in between, it always photographs PERFECTLY here! What's also great about The Wrigley Building is it is RIGHT next to the Riverwalk! As we were making our way down, we spotting these hanging colorful lanterns and lamp shades and just thought it was the coolest thing! Another thing I love about this city, there is always something beautiful around every corner! I had such a blast with these two and we didn't completely melt to death! YAY! Haha! 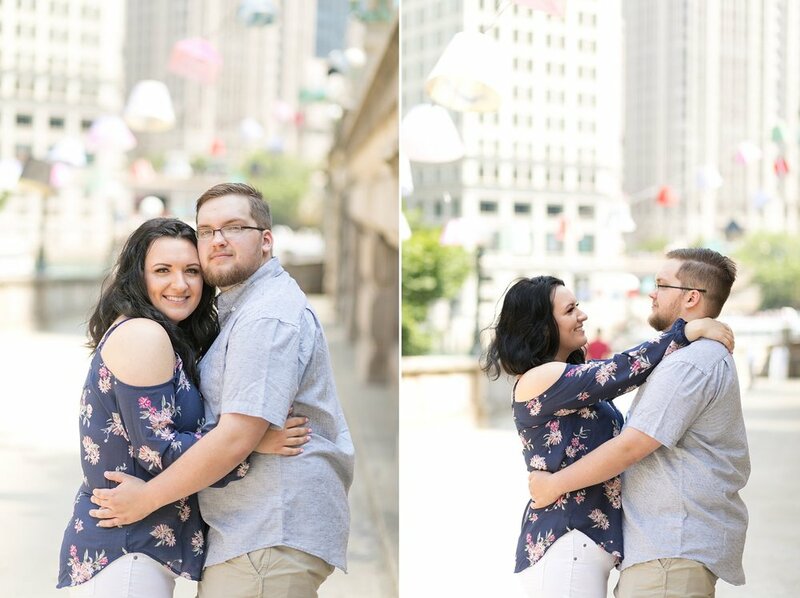 I can not wait for your wedding next year, Kayla and Brandon! I am so excited that we are wedding date buddies! 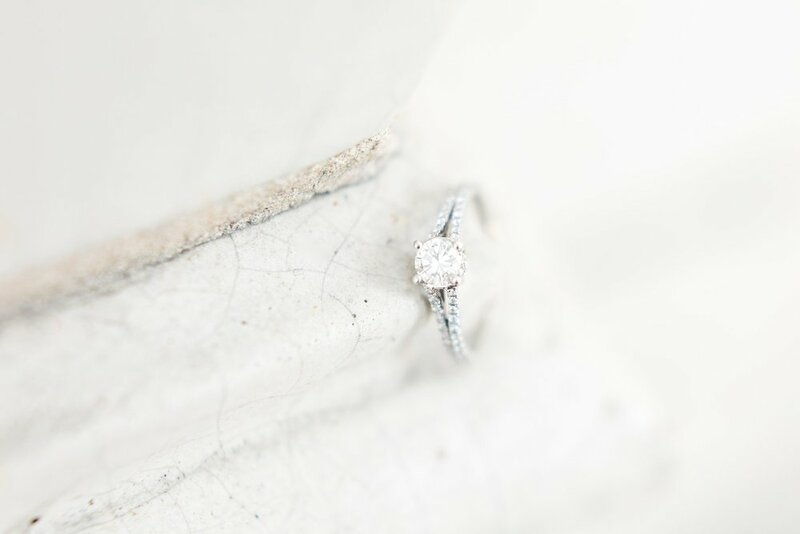 October 5th is just such a great day to get married! Haha! Even though I won't be spending much of mine and Brian's 2nd year wedding anniversary together, I am SO thankful and so excited to celebrate with you two when you FINALLY say I DO with your friends & family and capture the whole thing!! It's going to be such an incredible day!